Closing! The word (in the context of real estate) inspires a plethora of emotions, a host of experiences and the summation of an event that provides everyone with a “win” – or at least it should. Many approach closing day with an unexpected laundry list of repairs found during the home inspection. Reaching that crowning day only to have something go awry, can leave many unhappy and unpaid. That is why it is so important to choose people that are devoted to the success of your rewarding moment. The dedicated owners and staff at Indiana Residential understand this concept and champion their business as a solution. 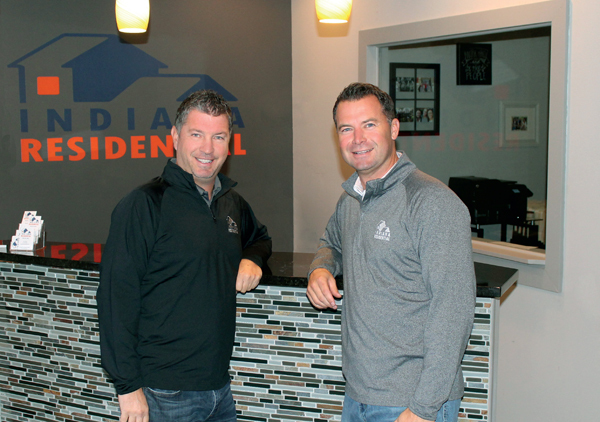 Following an inspection report, Indiana Residential offers a program designed specifically for Real Estate professionals to streamline the inspection repair process. 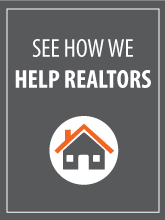 With “One Call” (or email, text, one-click online submit), they appoint “One Contact” and provide “One Estimate” for all the inspections repairs that are required on the Buyers Response. The company is a MIBOR Affiliate Member that also offers many years of experience in home remodeling and renovation. Additionally, they are an IICRC Certified Mold Removal Specialist and an Owens Corning™ Preferred Roofing Contractor. 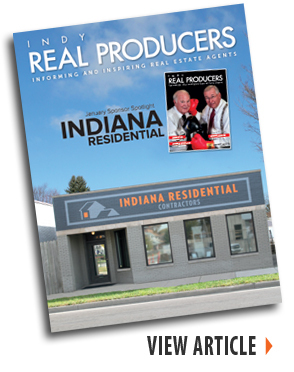 The Indy Real Producers Magazine publishes monthly and also includes a ranking of top agents in the area.